What Is Rental Property Depreciation? Rental property depreciation isn’t something to be feared, but rather embraced and welcomed. Depreciating a property over several decades can potentially increase your bottom line while lowering tax obligations. If you want to calculate your own rental property depreciation, I recommend hiring a trained tax professional. This is a complicated topic that’s easy to get lost in if you don’t know what you are doing. As its name suggests, rental property depreciation alludes to the inherent loss in value of an asset, but I digress. The bleak nature that has become synonymous with the term depreciation in the real estate industry isn’t what you might think. It’s about time we all realized it: depreciation is no longer a dirty word. In fact, rental property depreciation isn’t something that real estate investors and landlords should fear, but rather an intrinsic benefit of passive income investing. At the very least, rental property depreciation is a very attractive tax benefit; one that passive income investors should be excited for. You are the owner of the property in question. In case you were wondering, you are still the owner even if it is subject to a debt. You personally use the property for your business or a subsequent income-producing activity (like a rental property). The property is expected to last longer than a year. It’s worth noting, however, that even if a property meets all of these requirements, it can’t be depreciated if it is placed in service and disposed of (or taken out of business use) in the same year. For a better idea of whether or not your property is depreciable, I recommend visiting the IRS website. Better yet, consult a tax professional versed in the workings of depreciable property. Home depreciation is a complicated subject, and should only be taken on by a trained professional. How Does Rental Property Depreciation Work? In other words, the I.R.S. views your rental property as an actual work expense. Not unlike writing off a work expense (computers, printers, office supplies, etc. ), rental property owners that are actually receiving money from renters and have the ability to write off the cost of the asset. In the eyes of the I.R.S., each home inevitably loses value. And why wouldn’t it? It’s a physical asset that ages over time. However, as I am sure you are already aware, homes don’t always deprecate in value. In fact, history has proven that homes tend to appreciate more often than not. As a result, it’s likely that you’ll be able to claim the depreciation the I.R.S. has already granted, while simultaneously watching the equity in your home grow. Otherwise known as a phantom gain, depreciation can really serve as an investor’s best friend. You are able to claim depreciation in the face of appreciation; what more could you ask for? If you want to learn how to calculate depreciation on rental property, you must first familiarize yourself with three fundamental principles: your basis in the property, the duration of recovery and the method of depreciation you intend to implement. 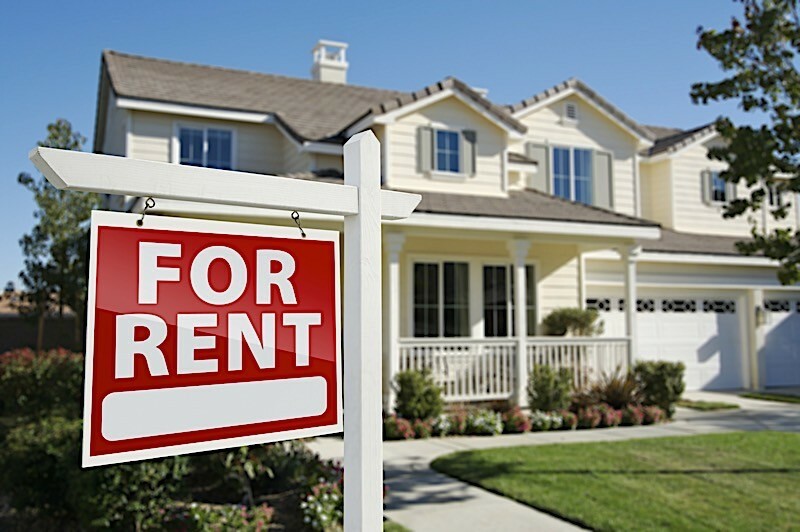 It also helps if you know when you first started using your rental property to produce income. If, for example, your rental property was put into service after 1986, you must calculate depreciation on your rental property with the Modified Accelerated Cost Recovery System (MACRS). Created in lieu of the Tax Reform Act of 1986, the MACRS grants rental property owners the ability to depreciate their assets over a longer period of time at an accelerated rate — that’s good news. In fact, the I.R.S. will allow rental property owners to deduct a portion of the cost of their property every year for as many as 27.5 years, or the amount of time that authorities have already determined to the “useful life” of a property. Determine the basis of the property: Otherwise known as the cost of acquiring the property, the basis represents the amount you paid to purchase the asset in question. The basis may include settlement fees, closing costs and other expenditures that came out of your own pocket (think legal fees, back taxes and insurance), but not all costs can count toward the basis, so be sure to check with a professional to have a better idea of your own basis. Differentiate between the cost of the home and the land it’s on: Since most home values include the cost of the land it’s sitting on, you will need to determine a separate value for the home and the land. Only the value of the home may be depreciated (not the land). Use the fair market vale of each at the time of the purchase to have a better idea. Determine which MACRS applies to your situation: Once you know the value of the home (without the value of the land), you must determine which system to use: the General Depreciation System (GDS) or the Alternative Depreciation System (ADS). GDS is the most common, but, again, be sure to consult a tax professional before moving forward. Determine a recovery period: The amount of time you are allowed to depreciate your property will depend on which system you must follow from the previous step. If you use the GDS, you can depreciate a portion of your initial cost every year over a period of 27.5 years. If you use the ADS, you can depreciate a portion of your initial cost every year over a period of 40 years. I want to make it abundantly clear, these steps are meant to serve as a basic primer for people learning how to calculate rental property depreciation, and are in no way conclusive. There are several more steps one would need to consider, and only a professional tax consultant trained in rental property depreciation should make the calculation for your particular asset. To be clear, there is no magic rental property depreciation calculator to be used universally by every investor. Each rental property owner’s situation is inherently unique and, therefore, can’t be calculated without professional help. That said, there are methods for calculating the depreciation on your assets, but they are complicated and better left to a professional. That said, properly calculating your own depreciation will rely on either the General Depreciation System (GDS) or the Alternative Depreciation System (ADS) I mentioned above. How Much Does Rental Property Depreciate Per Year? If you depreciate your asset using the General Depreciation System, which lasts 27.5 years, “you would depreciate an equal amount: 3.636% each year as long as you continue to depreciate the property,” according to Investopedia. How Does Rental Property Depreciation Affect Taxes? Though widely misunderstood, rental property depreciation may as well be one of an investor’s most valuable assets. At the very least, it allows you to deduct a cost of the initial expense over the span of decades. Perhaps even more importantly, each year you deduct the allotted portion, you are effectively reducing your tax obligation. Rental property depreciation isn’t something to be feared, but rather embraced. While the topic is difficult enough to comprehend, I can assure you it’s something to look into. If for nothing else, depreciating your rental property over time can simultaneously limit your tax obligations while putting more money in your pocket in the event your property actually appreciates in value.